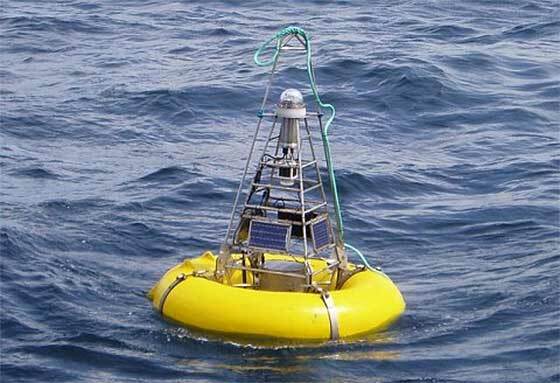 Small to medium sized enterprises and marine technology research institutions can now apply for access to ocean observatories for research, or to test their new product prototypes in the open sea, at no cost, NOC informed. Dr Luisa Cristini, who is managing the project from the National Oceanography Centre (NOC), said: "It is a wonderful opportunity for organisations to trial their instruments and equipment and to use data from our observatories. Previous applicants have included universities, research institutions and businesses, such as consultancies and sensor developers." This Transnational Access (TNA) to in situ ocean observatories is offered by the Fixed-point Open Ocean Observatory (FixO3) project, alongside full logistic and financial support. There is one shallow water test site available and 14 open ocean observatories, which are located in the Antarctic, Arctic, Atlantic and the Mediterranean Sea. This range of observatories allows the FixO3 project to support a wide variety of research and technology trialing, NOC said. An applicant from 2014 has already used this opportunity to trail an automatic video camera at Spanish, shallow-water observatory, OBSEA. This allowed the Italian research institute ENEA, who owned the camera, to test its ability to analyse the structure of a fish community. "The NOC is an ideal coordinator for a project like FixO3 because of our experience in managing long-term, time-series studies, such as those in the Porcupine Abyssal Plain. This expertise will help the FixO3 project to achieve its aim of integrating all 23 open ocean observatories into a single network, creating a streamlined service for European businesses and researchers," added Dr Luisa Cristini. The call for applications is open now and will close on the 20th of July 2015. Prior to submitting the proposal applicants will need to contact the manager at the ocean observatory at which that they wish to conduct their trials/research for a pre-feasibility evaluation of their project and a letter of support. Applicants will also need to write a small research proposal explaining their need for the FixO³ services and facilities, which will be judged on scientific merit. FixO3 is an FP7 project, funded by the European Union.